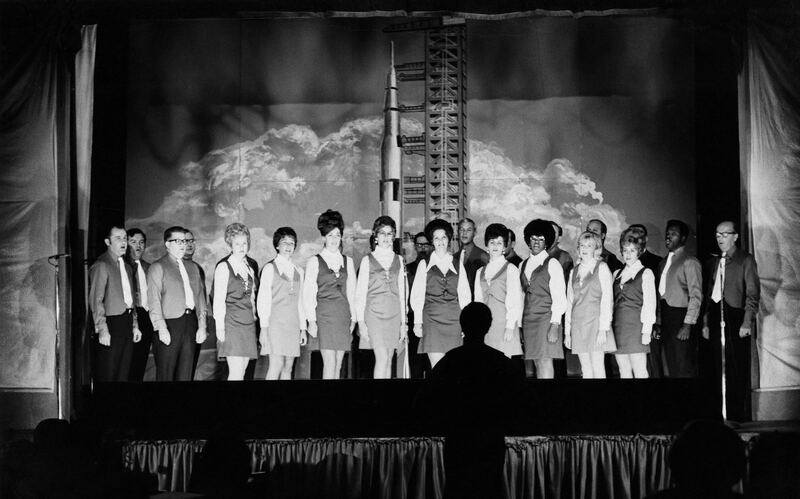 One of the most favorite memories I have from working on the Apollo Program comes from the rehearsals and subsequent shows that the chorus performed for the entire IBM launch support team and their spouses before each launch. They were called Facility Dinners and everyone looked forward to them. We took liberty with some popular songs by changing a few words and sang songs like Get Me to the Launch on Time, and There’s no business like Space Business. We also sang a lot of patriotic songs like God Bless America, America, the Beautiful; This is My Country, Battle Hymn of the Republic and If I Had a Hammer and many others. We even sang some of the old IBM fight songs, written in the 20’s, including Ever Onward. We rehearsed twice a week in the cafeteria. We had a local high school girl who played the piano for our rehearsals. When it came time for the show, we employed professional musicians who backed us up. We sang in four-part harmony, all directed under the careful eye and ear of Leon Bill, the Communications section head. Leon had a background in music, producing, directing and even performing in Broadway type shows. Besides the chorus, we had skits, which I wrote and usually acted in too. 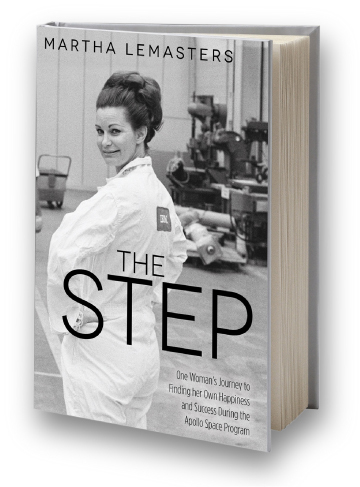 There was one skit about a couple taking a vacation on Mars…and another about a lady shuttle commander who fell in love with a subordinate. What fun days they were. The chorus was very tight knit. We supported each other in work and in play. Some of my best friends that were in the chorus are still among my best friends today.